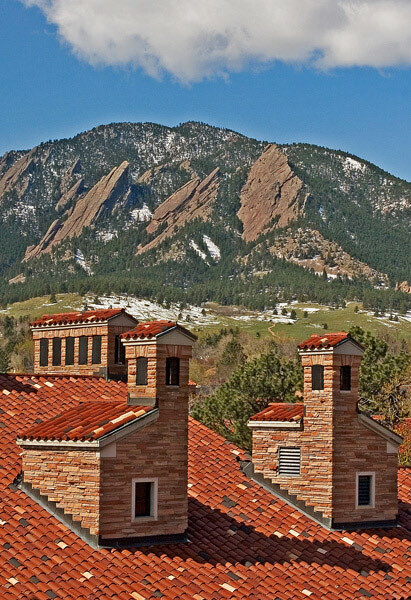 I was looking for a clear shot of the red rooftops with the Flatirons in the background from the top floor of one the campus buildings when someone noticed me with my camera. They showed me a hidden ladder leading to the roof where I was greeted with the view you see in this photo. Photo © copyright by Mike Barton.